Thanks to all who came on Saturday, January 12, 2013 at 8pm to the new moon ritual! 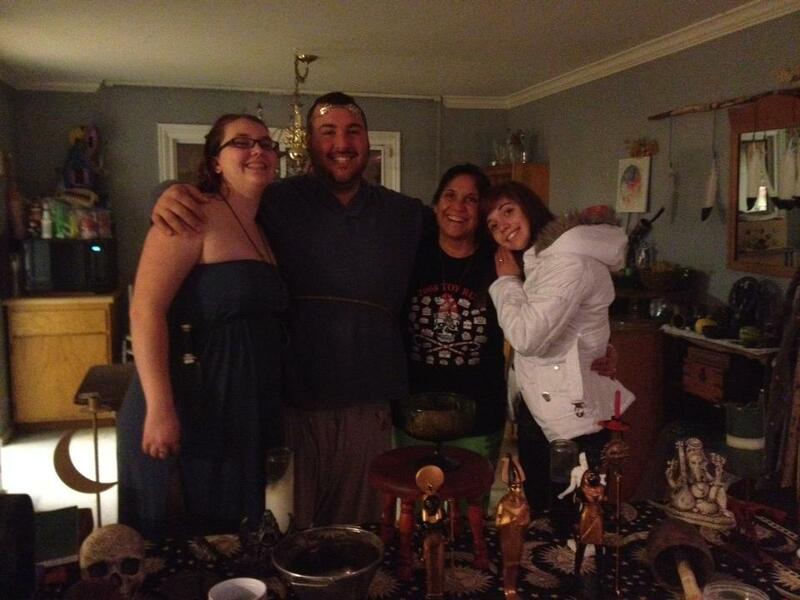 We had a great time doing new moon magic, discussing upcoming activities and working with the ancestors. President Muad’Dib sported his new oak circlet made from brass. The mediation fire with the song “Shanti” from the album Elephant Power by MC Yogi has really made a difference in the ability for the members to center and release all negativity. The moon goddess accepted the offerings for the new month and blessed everyone to go forward with light and love!